As soon as I saw there was a genuine Francis Beart Norton coming up for auction, I was in touch with Bonhams asking ‘Can I come and have a look at it?’ followed by ‘Can I have a go on it?’ Sadly for me the second request was not granted (and I’m really not sure when it was last run; some time ago, I think, quite possibly 1984) but, despite it being part of a private collection, we were able to go and have a look at the apple-green Norton before it was to come under the auctioneer’s hammer. Why was I so keen to go and see the Manx? Well, ever since I was a boy, I’ve had a bit of an obsession with Beart-prepared machinery, particularly Manx Nortons. I don’t really know why I was so fascinated (I think it was to do with the green; it’s Ford Ludlow Green by the way), but I can vividly remember looking through Jeff Clew’s book on Francis Beart (called ‘A single purpose’) and even now every picture in the 1978 published book is familiar. Such was my enthusiasm, my dad built me a model of a Beart Manx, constructed from a modified Protar kit – which I took with me when I went to look at the 350 to be coming up for auction. I did lots of research for making the model; it has the cut down seat, the upside down mounted shocks, exposed fork springs… while dad (I may have ‘helped’ but it would always progress more once I’d gone to bed) made a petrol tank out of balsa wood. Finances (well, parents) wouldn’t allow me to buy another Protar Gilera kit to just use the front brake… on reflection, there were a few bits we got wrong (such as the shape of the petrol tank and the colour of the seat – we only had slab-sided, black and white photographs) but actually we (well, dad) did a pretty good job. The life-size Manx was described in detail as follows (which borrows heavily from Alan Cathcart’s 1984 Classic Bike test of it) when it was sold at auction by Bonhams in Las Vegas in 2015, for £58, 243, the time its current owner acquired it. “Francis Beart made this 350cc Manx race-ready in 1974 for the Stanford Hall museum’s founder, the late John Griffith, knowing it should be the last, giving away his tools once finished. In 1982, the collection was sold, and this machine was acquired by journalist Alan Cathcart on behalf of an American enthusiast. 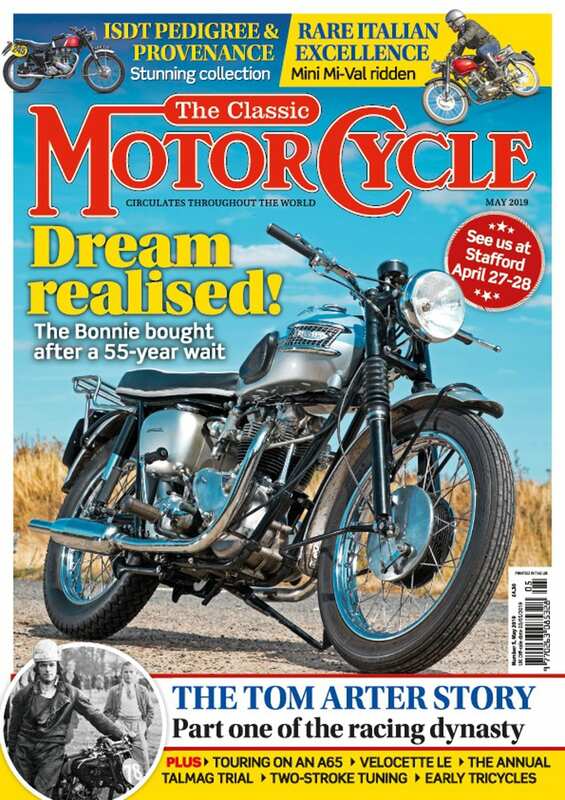 “It was one of the last Manx Nortons built, a 1961 model, supplied new to a Beart customer, a Mr Craze of Bournemouth, who sold the bike to Beart during the winter of 1962/63. Beart rebuilt it for the Junior Manx GP, fitting a Jakeman two-piece fairing with the rev-counter mounted in the nose. Ernie Wakefield produced custom, thin-gauge aluminium oil and fuel tanks, the latter with a chin recess permitting the rider to tuck under the screen and thus the bike was nicknamed ‘Sabrina’ after a curvaceous blonde British film starlet. An ex-Bob McIntyre Gilera twin-leading-shoe front brake was fitted. 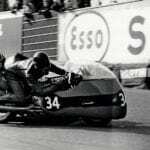 The 350 debuted in the 1963 Manx GP ridden by Jimmy Guthrie, who finished 20th after the specially made front-brake adjusters kept slackening. “The Norton was out again for the 1964 Manx, crashing at Rhencullen. It was rebuilt that winter, Beart logging a new frame, swinging-arm, rear wheel, oil and fuel tanks, one front fork slider, and a fairing. Guthrie made amends in the 1965 Manx with sixth at 89.11mph after Joe Dunphy was ninth in the Junior TT at 91.69mph. A comprehensive rebuild for the 1966 season was undertaken, re-numbering it FB 66/1 in the process. From a Brands test session: ‘JD says it is perfect. 7500 in top, 8000 in gears, clean all the way. Brake very good’. Dunphy retired, but later Keith Heckles was second on it in the Junior Manx GP. “Over the next winter it was again rebuilt, now with a Bosch magneto and a single coil. Welshman Malcolm Uphill lapped the Mountain in under 24 minutes (94.32mph), but retired on lap three of the Junior TT with a broken ignition wire while lying 11th. Uphill told Beart it had been impossible to stay with a gaggle of Aermacchis so Francis bought one from his friend British importer Syd Lawton. Francis Beart was born in 1905 in a small village near Beccles, in Suffolk, though the family moved frequently, settling on a farm in Yorkshire (gifted to his father by Francis’ grandmother – the family was wealthy) before the First World War, then moving down to London later. Beart was schooled at Dulwich College before the family moved to Sutton. Schooling over, and being privately tutored for a career in the city, Francis seemed to become involved in a number of madcap schemes (including buying an ex-First World War SE5A aeroplane, to use as the basis for a car…) before eventually he bought his first motorcycle, a Duzmo, soon replaced by a Sunbeam. He was caught speeding on the Sunbeam and lost his driving licence – or would have done, if he had one. 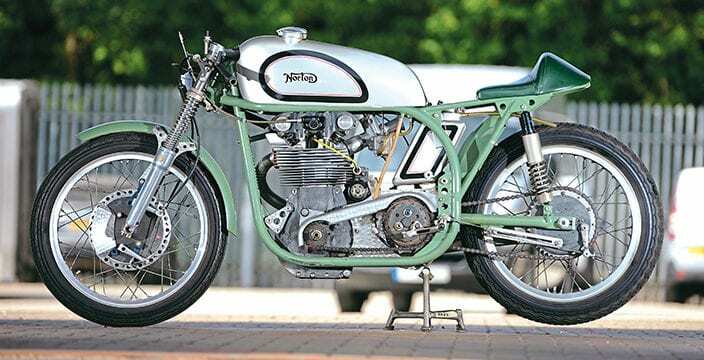 There were many other ‘skirmishes’ though his mother gave him a Norton 16H for his 21st birthday – which he promptly crashed. It was repaired at Dan O’Donovan’s Norton dealership, where Francis also came into contact with Pat Driscoll, a Brooklands regular. As Francis’ sporting ambitions increased, the 16H was replaced by an ohv Norton, which he visited the Isle of Man on in 1927 for the TT. By the early 1930s Beart was a Brooklands regular, also now working with legendary record breaker and rider Eric Fernihough. Francis campaigned a number of machines, Zenith and Douglas among them. But it was on Grindlay-Peerless he wrote his little place in Brooklands folklore, establishing the Test Hill record in 1937, which still stands. 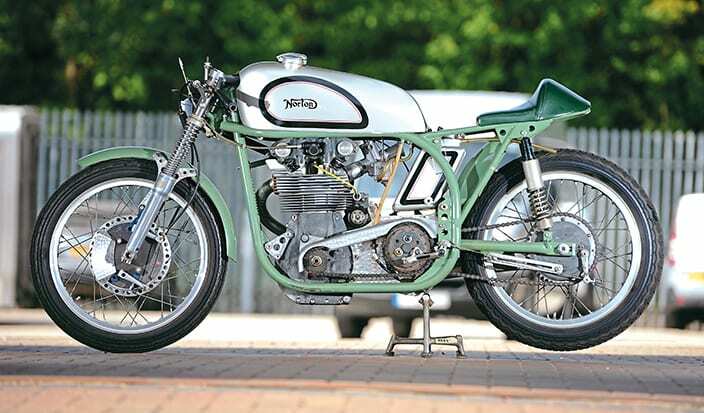 However, Norton was to be the machine Beart would be most associated with, the signage on his shed at Brooklands proclaiming ‘Francis Beart – Norton tuning.’ The shed and sign was also painted apple green, the colour Beart was forever associated with. In 1938, Beart first went to the Manx Grand Prix, with Johnny Lockett coming second in the Senior race on the Beart-engined Norton. Lockett was also the jockey for Beart’s first TT entry, in 1939, which yielded 16th in the Senior. But war ended play – Beart greased-up his race machines and stored them for the duration, during which he worked for the Bristol Aeroplane Company, on engine development, initially based in Bristol then later, back at Brooklands. Postwar, it was back to racing, with the 1946 Manx the first ‘big’ event – it was a mixed occasion as the joy of Peter Aitchison’s second place on the Beart bike in the Junior race, was abruptly replaced by dreadful sorrow, when Aitchison crashed and was killed in atrocious weather during the Senior race. 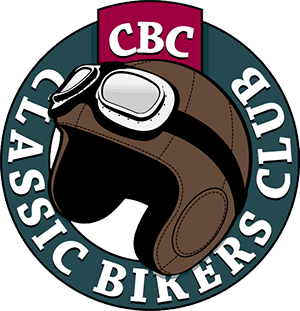 The next year, 1947, brought Beart his only TT win with Dennis Parkinson winning the 350cc Junior Clubman TT on Francis’ 350cc International Norton. The same rider was second (Senior) and fourth (Junior) at the Manx GP. 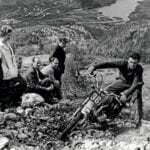 A first Manx GP win came in the 1948 Junior, by Parkinson, then Cromie McCandless repeated the feat in the same race the next year. There were to be 11 Manx GP wins in total, either on complete Beart-owned machines, or for those with Beart engines. Interestingly, through much of the 1950s Beart concentrated on the Manx GP, only returning to the TT in 1960. Beart was also employed in other projects too, including running Norton’s successful Daytona assaults of the early 1950s and 500cc car racing. Stirling Moss was one who drove a Beart Cooper. 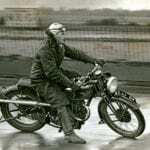 Throughout the whole period, Beart used 500cc Manx Nortons for motorcycle racing, but as early as before the Second World War, it seemed he was unsure of how competitive the 350cc version was, especially in the race of opposition such as the Mk.VIII KTT Velocette, which appeared at the 1939 races. Indeed, even Beart’s pre-war 350cc engines were much modified, with reconfigured cylinder heads. 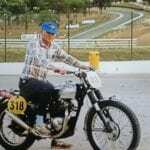 Around 1960 Beart decided to buy a 350cc AJS 7R, to supplement the Nortons. This practically brings us to the point where the 350cc Manx featured here comes into the picture. 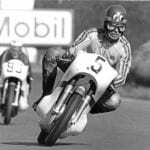 At the same time Beart bikes were to win a Manx GP every year 1960-1963 inclusive (1960, Junior, Ellis Boyce, Norton; 1961 Senior, Ned Minihan, Norton; 1962 Senior Joe Dunphy, Norton; 1963, Peter Darvill, Junior, AJS).